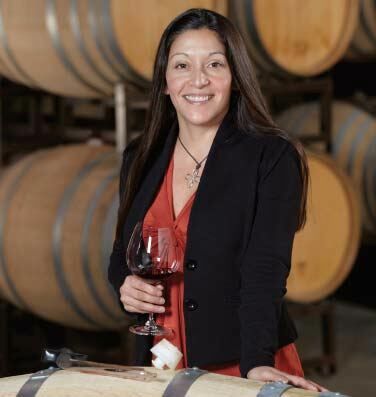 When I first met Theresa Heredia a few years ago working as part of a team of winemakers at Freestone Vineyards, I was impressed by her gumption, dedication, and innovative ideas. The relatively large new and modern Freestone winery owned by Joseph Phelps, which opened in 2007, permitted her the opportunity to experiment with a number of leading edge winemaking techniques, and she responded by crafting some remarkable Pinot Noir and Chardonnay wines at Freestone. On May 1, 2012, Theresa joined Gary Farrell Winery, replacing Farrell-trained Susan Reed, and bringing with her invaluable experience in small-lot, single-vineyard Chardonnay and Pinot Noir winemaking. She quickly embraced the Gary Farrell Winery house style developed over the past 30 years which emphasizes elegance and balance, while putting a finespun personal stamp on the wines. It also gave her the opportunity to work with a diverse pallete of vineyards managed by legendary growers. One example of subtle change that Theresa is instituting is in the production of Chardonnays. The Chardonnay grapes at Gary Farrell have always been picked earlier, but in 2012, Theresa harvested even earlier, at about 22º to 23º Brix. She prefers to “build” the Chardonnay in the cellar where the effect of barrels and lees management lead to secondary characters and allow the wine to put on more weight. The other option that is commonly practiced by winemakers is to build in the character of Chardonnay on the vine, letting the grapes hang to 24º to 25º Brix, a less preferable option for Theresa because of the potential for ripe and premature oxidative characters (and sometimes the need to resort to alcohol reduction). Winemaker Gary Farrell, who left in 2006 to concentrate on his own label, Alysian, left behind a legacy of winemaking protocols. The techniques for Pinot Noir include native yeast fermentations, saignée to add depth, foot treading to allow extraction but avoid over extraction, and a modest percentage of whole cluster to contribute tannin, backbone and spice (9%-22% in 2012). Fermentation is carried out in 4-7 ton jacketed open top fermenters following a 5-7 day cold soak. As fermentation reaches completion, the wine is gently pressed (primarily free run and some press fraction juice are used for the Russian River Valley Selection Pinot Noir, while single-vineyard Pinot Noirs are made from 100% free-run juice only). The wine is then transferred by gravity to medium-toast French oak barrels from Burgundian coopers where the Russian River Valley Selection typically ages for 10 months and the single-vineyard Pinot Noirs spend up to 15 months. New oak varies from 40% to 50%. The wines are racked only once before bottling. Theresa has added new coopers to the barrel mix based on her experience and plans to use some oak tanks (5 ton) which allow warmer, natural ferments and gentler extraction. Chardonnays are fermented in 100% French oak barrels (40% new) from several Burgundian cooperages, undergo full malolactic fermentation, and age on their yeast lees, with weekly stirring during malolactic fermentation and monthly thereafter, for seven months before bottling. Theresa plans to incorporate the use of oak puncheons (500L) which facilitate the integration of oak aromas and flavors. 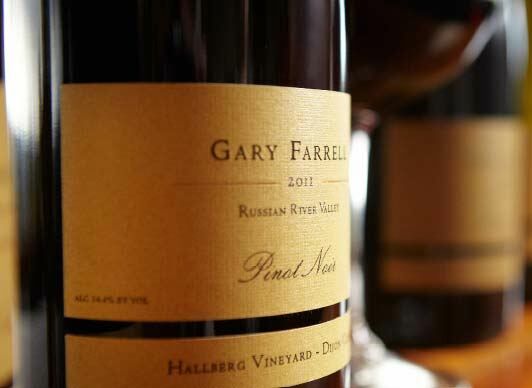 Both Russian River Selection Wines (Pinot Noir, Chardonnay and Sauvignon Blanc) and Vineyard-Designate Wines are produced at Gary Farrell. The close grower relationships developed over three decades allows Gary Farrell Winery access to many highly desirable vineyards in cool growing regions such as Bacigalupi, Rochioli, Allen, Westside Farms and Hallberg. Gary Farrell Winery is owned by The Vincraft Group, which also owns Kosta-Browne. The owners are not content with the status quo, always striving to push quality to a higher level. 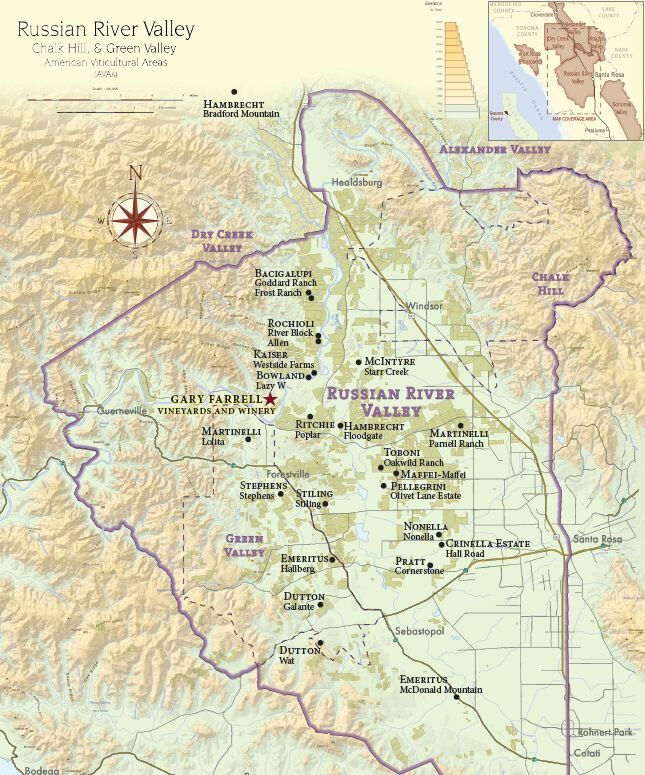 To this end, they are seeking additional elite grape sources within the Russian River Valley. Production is estimated to expand from its current 20,000-case level to 30,000 cases, but not beyond that. I highly recommend a visit to the inviting tasting room that is open daily. Many of the single-vineyard wines are only sold through the tasting room and to Grand Crew wine club members. A new set of wines will be offered beginning with the 2011 vintage known as the Inspiration Series. These will be small lot unique wines reflecting the “inspiration” of the winemaker. Visit the website at www.garyfarrellwinery.com. I met with Theresa in the winery’s ridge-top tasting room on Westside Road one morning, admiring the breathtaking view, and chatting at length about Theresa’s future goals at Gary Farrell Winery. We tasted through the lineup of 2010 Gary Farrell Chardonnays and Pinot Noirs (these were crafted by Susan Reed) and a few barrel samples of the 2012 vintage as well. I have reviewed a number of Gary Farrell wines in the past, so I was not surprised by the consistent high quality of every bottling. Theresa was quite excited about the 2010 vintage which produced wines more “European” in style, especially the Chardonnays. I shared her enthusiasm after tasting the wines. Why buy these wines? Just look at the exceptional vintage sources. Any more questions? 14.2% alc., pH 3.22, TA 0.73, 2,752 cases, $32. Released August 2012. A blend from four notable Russian River Valley vineyards. · Light straw color and clear in the glass. Lemony, buttery, nutty and slightly smoky on the nose. Light and crisp, with lemon custard and peach flavors, lifted by bright acidity, finishing with a refreshing zest of lemon. Good. 14.4% alc., pH 3.29, TA 0.74, 372 cases, $38. Released May 2012. From a 40-acre vineyard planted in 1989 to Clone 4. Large spacing, tall vines, moderately high yields yet good concentration and balance. · Light straw color and clear in the glass. Shy, but pleasing aromas of lemon, lime, roasted nuts and a tropical note. Good concentration of baked apple, white peach, honey, caramel and nutty flavors. Very good. 14.1% alc., pH 3.27, TA 0.65, 288 cases, $45. Released November 2012. · Light straw color and clear in the glass. A little tight this morning, offering delicate aromas of lemon curd, almond skin and vanilla. Crisp, juicy core of lemon and pear flavors with a powerful and lengthy finish. Very good. 14.0% alc., pH 3.35, TA 0.66, 298 cases, $45. Released February 2013. Multiple clones from both the renowned Rochioli and Allen vineyards. · Light straw color and clear in the glass. Shy aromas of citrus, baked pear, and spice lead to a well-composed palate-filling wine featuring flavors that echo the aromas. This wine is all about concentration and length, yet has the vivid acid backbone needed to energize the flavors and lift the finish. Exceptional. 14.0% alc., pH 3.45, TA 0.65, 6,842 cases, $42. Released December 2012. Sourced from seven notable Russian River Valley vineyards. Aged 8 months in 40% new French oak barrels. · Moderate reddish-purple color and clear in the glass. The red fruit spectrum of strawberry, raspberry, cranberry and cherry is featured with appealing accents of spice and oak. Good acidity makes for refreshing drinking. A solid, even impressive appellation wine. Good. 14.0% alc., pH 3.38, TA 0.724, 483 cases, $55. Released May 2012. Sourced from the legendary “Q Block.” Aged 8 months in 50% new French oak barrels. · Moderate reddish-purple hue and clear in the glass. Hold on to your seat when you taste this one. Aromas of dark red cherries and spice leap out of the glass. Clean and juicy on the palate with middleweight flavors of well-ripened cherries and raspberries, set off by the signature peppery spice of this region. Finishes with plenty of verve. Exceptional. 14.0% alc., pH 3.41, TA 0.72, 291 cases, $65. Released November 2012. Sourced from blocks planted in 1974, 1995 and 2000 with some cuttings taken from the original “mother” block planted in 1968. Pommard clone. Aged 13 months in 50% new French oak barrels. · Moderately dark reddish-purple color and clear in the glass. This wine is still very young but the potential is obvious. Shy aromas of Bing cherries and spice with a hint of citrus and mint. Discreetly concentrated flavors of black cherries, rhubarb, cola and spice wrapped in balanced tannins and finishing with uncommon power. Very good. 14.0% alc., pH 3.41, TA 0.64, 520 cases, $55. Released September 2012. A 100-acre vineyard on Highway 116 in Sebastopol farmed by owner Kirk Lokka. Clones 667, 777, 828 and Pommard. Aged 13 months in 50% new French oak barrels. · Deep reddish-purple color and clear in the glass. This wine reflects nicely the terroir of this vineyard displaying aromas of chocolate-covered black cherries and black plums with a slight savory tone, and flavors of black cherry, cola, anise and dark chocolate. The most concentrated wine in the lineup with firm, fine-grain tannins, and a fruit-driven finish. Very good.